LOS ANGELES, CA--(Marketwired - Jun 9, 2016) - Today, Faraday Future (FF) announced the appointment of automotive industry leader Marco Mattiacci. Effective immediately, Mattiacci will assume the role of Global Chief Brand & Commercial Officer, leading all aspects of branding, marketing, communications, distribution, sales, and user/customer experience. Marco will also sit on key strategy, product, design, and HR committees. Mattiacci, a native of Rome, has held international executive roles in the automotive and motorsport industry for the past 20 years. He served as President & CEO of Ferrari North America from 2010 to 2014, accelerating a re-branding process in the company's largest markets (U.S. and Canada), while bolstering emerging ones, such as Brazil, Chile, and Mexico. In 2012, Mattiacci earned the Automotive Executive of the Year Award for increasing company sales while maintaining a "sharp focus on customer satisfaction, ownership experience, and brand integrity." Under his leadership, Ferrari nearly doubled its sales in North and South American markets. Prior to that, Mattiacci served as President & CEO of Ferrari Asia Pacific from 2006 to 2010. Headquartered in Shanghai, he established the brand in China and created the first Ferrari corporate entity to run the Japanese market. In 2009, Mattiacci was recognized by the Management World Press and the Development Research Center of the State Council of the State of China as one of 100 leaders named in Outstanding Foreign Enterprises. Mattiacci will bring his expertise and knowledge of the Chinese automotive industry to Faraday Future -- an invaluable asset to FF, as the U.S. and China are expected to be the largest markets for the company. Most recently, Mattiacci served as Managing Director and Team Principal of the Scuderia Ferrari Formula 1 racing team. Mattiacci is an alumnus of the prestigious Columbia University Business School in New York and INSEAD International Executive Program. LeEco, Faraday Future's strategic partner, congratulated FF on Marco joining the team. "Mr. Mattiacci is one of the most exceptional executives in the automotive industry today. His new appointment at Faraday Future speaks to the company's ability to attract internationally-renowned talent and the popularity of a futuristic approach to mobility," said Ding Lei, co-founder, global vice chairman & managing director of LeEco's Super Electric Ecosystem (SEE) plan. "As Faraday Future and LeEco continue to work together in a joint effort, Mr. Mattiacci will accelerate the companies' common vision of a global, smart, internet connected, and shared EV ecosystem, as advocated by Jia Yueting." "Throughout my career, I have been a passionate believer in innovation and unique user experiences for customers," said Mattiacci. "Joining the Faraday Future team is an incredible opportunity that revolves around a completely new, connected, and intelligent way of thinking. I look forward to the role I will play in developing a truly brave and innovative path forward for the industry." As he moves into his new role, Mattiacci is tasked with establishing the Faraday Future brand, a groundbreaking user experience, and sales and service platforms on a global scale. 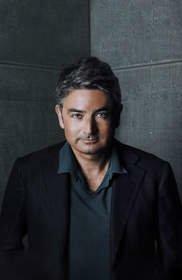 Through his proven expertise and ability to communicate across technological and cultural barriers, Mattiacci will support FF in defining and executing an effective business model centered around industry disruption. Faraday Future is a user-centric, advanced mobility company with headquarters in Silicon Valley and Southern California. Our global team leverages the talents of leading thinkers and passionate creators from the technology and automotive industries to bring premium, intuitive, and seamlessly connected electric vehicles to people worldwide.